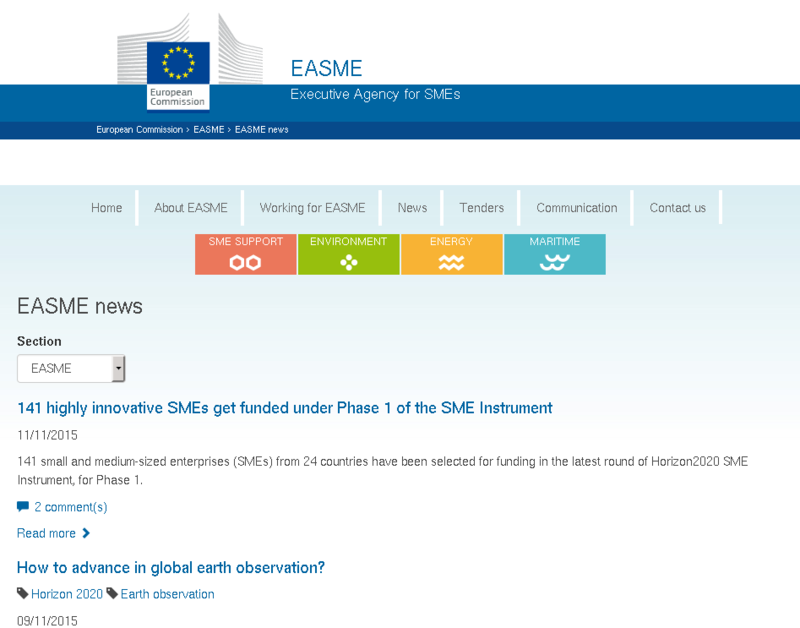 If you are looking for the RSS feed of the EASME news (the European Commission’s Executive Agency for Small and Medium-sized Enterprises), here it is: http://libpf.com/easme.rss. Disclaimer: we do not alter in any way the contents of EASME news; we do not claim any rights on their content; we have no responsibility of their content; the service may break in the future; etc etc. This entry was posted in Chemeng. Bookmark the permalink.